This lifestyle promotion was a celebration of the fun times and adventure that follow Wild Turkey’s American Honey brand whiskey. Wild Turkey sent pairs of beautiful women to some of the liveliest party spots in America. 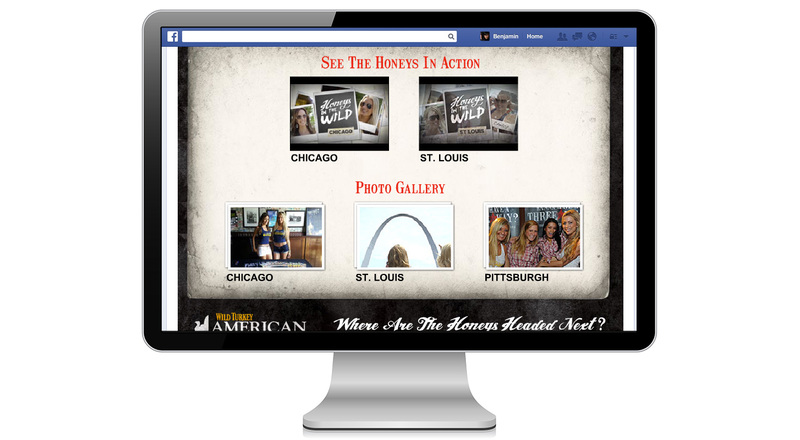 Zap Web Works built and animated the Facebook tab which included a featured video and a city-based video and photo gallery with share functionality.